Not just learning the basics but actually improving your game, unleashing your inner savage and excelling is something everybody should aspire to. Anyone who trains in the field of combat sports knows that having an advantage over an opponent is heavily reliant on multiple factors such as skills, physicality, attitude and fight IQ. In this article, we focus on physicality and the basic principles of training progression that will steadily transform you from a normal person into the level of a competitive/elite athlete. The ability to execute any physical activity reasonably well. 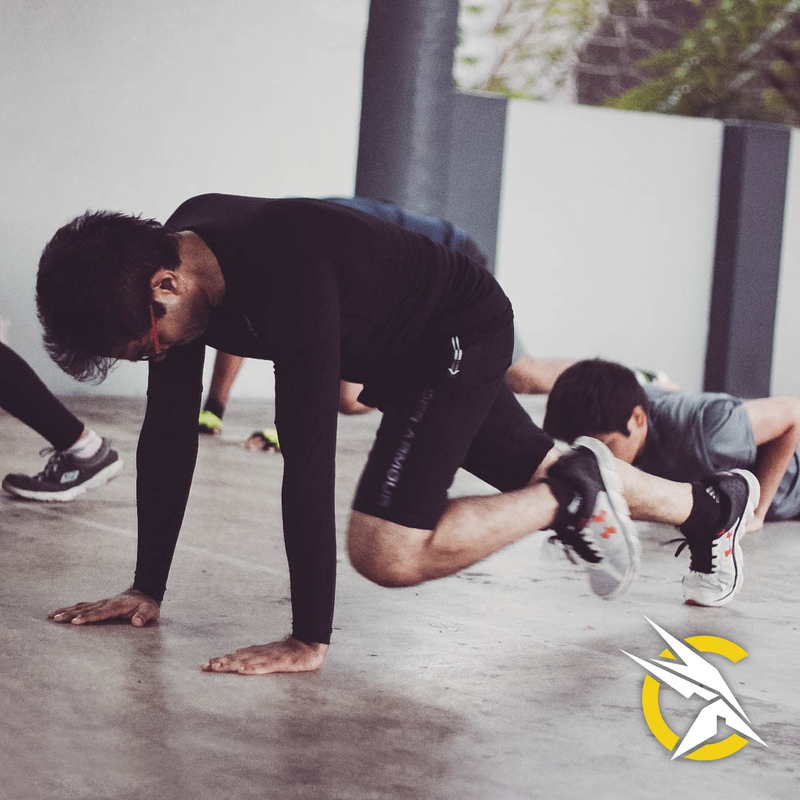 The rule of thumb is that you start with a GPP (General Physical Preparation) or ‘foundational fitness’ plan that revolves around making sure that you are getting your basics right and that you have developed a base level of strength, agility, balance, coordination, flexibility, stamina and power. This holds true not just for combat sports but for any kind of sport across the board. GPP workouts are mainly based on three simple principles: Strengthen parts of your body that are weak Augment those that are strong and establish proper patterns in basic movements. Following Kinetics 101’s prescribed foundational fitness plan should hold you in good stead for what comes after – The SPP or the specific physical preparation plan of not just Combat Sports but any sport. The ability to execute a specific physical activity with a specialized level of proficiency. Combat sports are gruelling, intense and require extreme levels of complex, multiplanar movements. 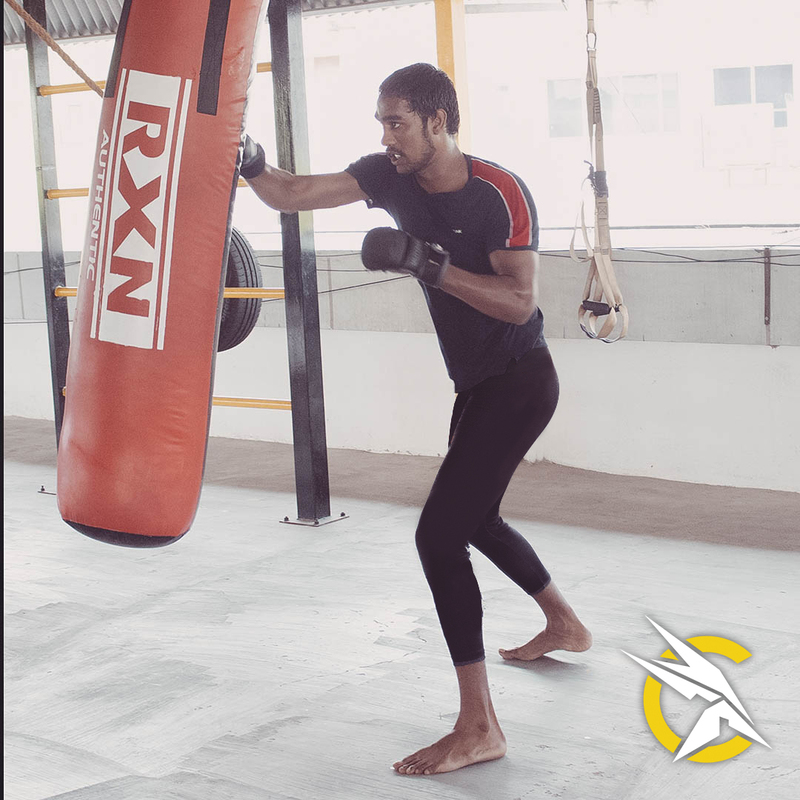 Upgrading your motor skills, neuromuscular coordination, time-specific conditioning and strengthening joints that are put under high stress gives you a decisive advantage that enables you to pace your fights and control different scenarios better. Not necessarily bigger muscles… Just better ones. While GPP can be a gateway to getting your body prepped and ready for the rigours of what is to follow, it will not give you the physicality or mobility that one can achieve by following a structured SPP routine. Specific exercises to optimise certain kinetic chains, Drills to improve SAQ(Speed Agility and Quickness), neuromuscular coordination, time-specific conditioning, true strength training, prehab, rehab, etc. In the world of Combat Sports, learning how to punch and kick is very different from learning how to fight. A lot of people believe that just learning a bunch of techniques means they now know how to fight, this simply isn’t true. Techniques are the base of any combat sport but they only become effective when combined with distance management, combinations and counters and very importantly fight IQ. The complexity of combat sports like MMA is far beyond that of any other form of sports. Not only are there thousands of techniques but they need to be applied at speed, with accuracy against an opponent who is in full contact and countering/attacking you. Technical sparring, contact sparring and all kinds of competition. The combination of all these elements will give you skills. Skills that last a lifetime. 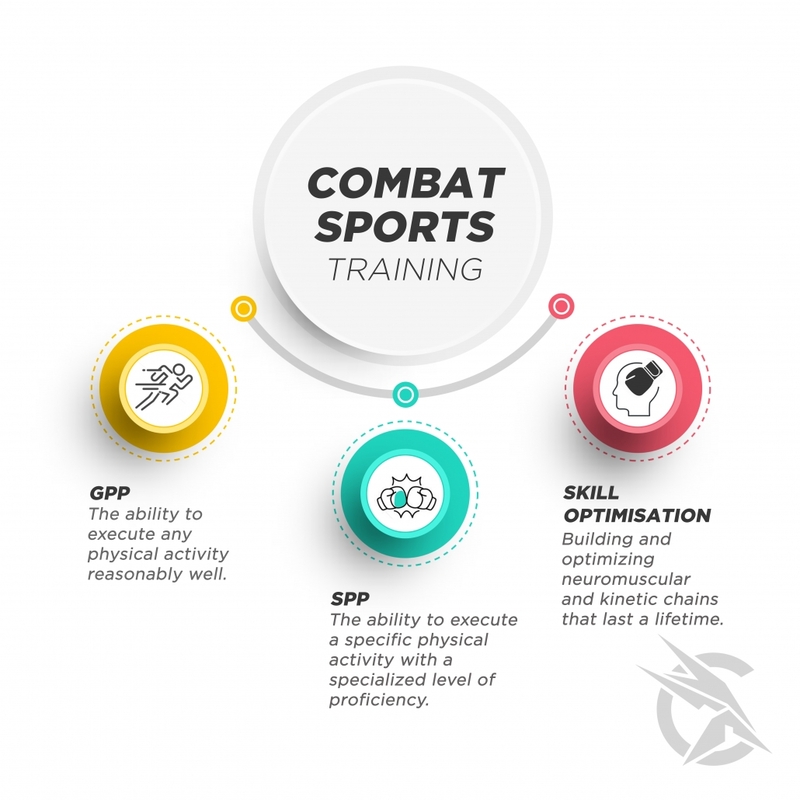 In conclusion, it is important to note that training to be fighting fit and battle ready in a scientific manner will have much more effective, long-term results when you start out with a GPP followed by fully adopting a comprehensive SPP plan that will support steadily turning your techniques into skills and then constantly work on optimising them from there on.